Plants can be infected with a wide array of different diseases. Some of these can easily be misidentified; and this has become evident in the 2015 Powdery Mildew Survey. Powdery mildews are just one of handfuls of different white structures on the surfaces of plants and one of many more infections to reduce the vigour, yield and beauty of our favourite garden plants and most important crops. 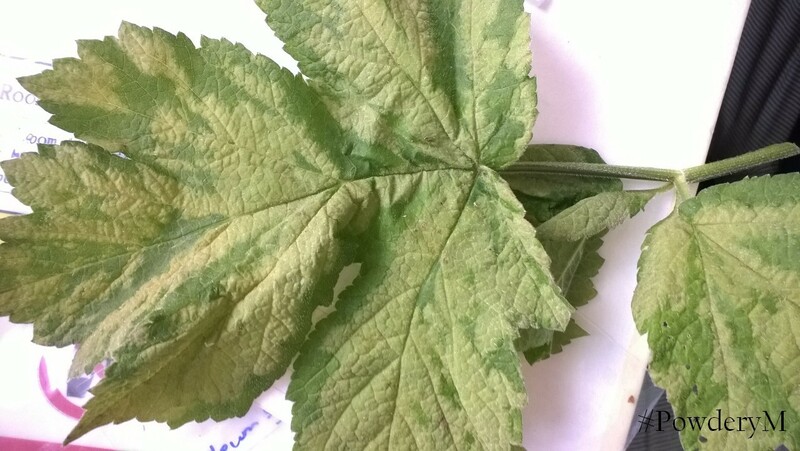 Powdery mildew can cause a number of different visible imperfections in their hosts: discolouratation is one such feature, but symptoms suc has that seen on the Heracleum below is more likely to be due to a virus. Heracleum sp. also often have leaf hairs. This sample is also discoloured; a possible sign of powdery mildew but more likely to be a downy mildew or virus. Botrytis (on Senecio jacobea) forms white strands on the surfaces of plants, these appear much more wispy than the powdery mildew. 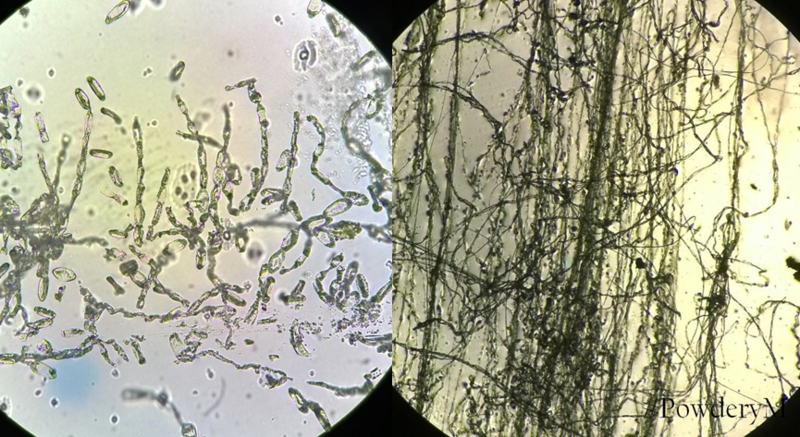 Finally the hairs typical on many plant species can catch the powdery-mildew-trained-eye and can easily be confused as surface mycelium. 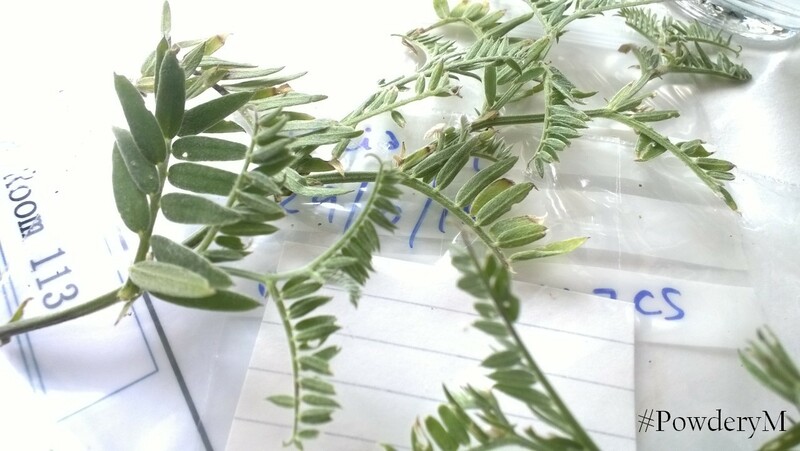 Below is an example of a Vicia sp. and of course a Stachys sp. on which it is particularly hard to identify a powdery midlew beneath its typical furry leaf covering. Vicia sp. and other plants have leaf hairs which can be confused with a fungal infection. 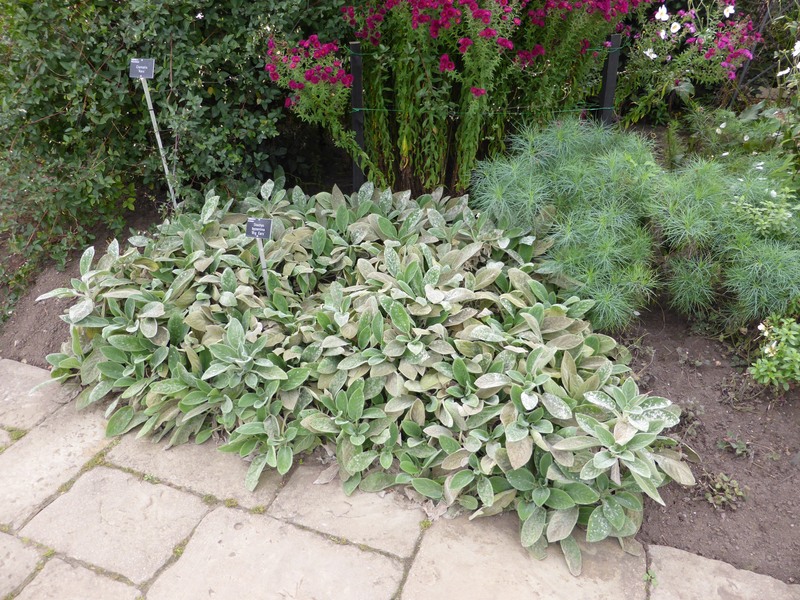 Powdery midlew can be difficult to spot on a Stachys, however when it is truly infected teh mycelial patches may stand out from its regular furry leaf coating. This entry was posted in PhD research, Public Engagement with Science, RHS research and tagged #PowderyM, Citizen Science, Erysiphaceae, Erysiphales, Oli Ellingham, Oliver Ellingham, Powdery Mildew, RHS, Royal Horticultural Society. Bookmark the permalink.